Remind Me by Nick Leith is one of those apps borne out of frustration with a stock Apple app – in this case, Reminders. 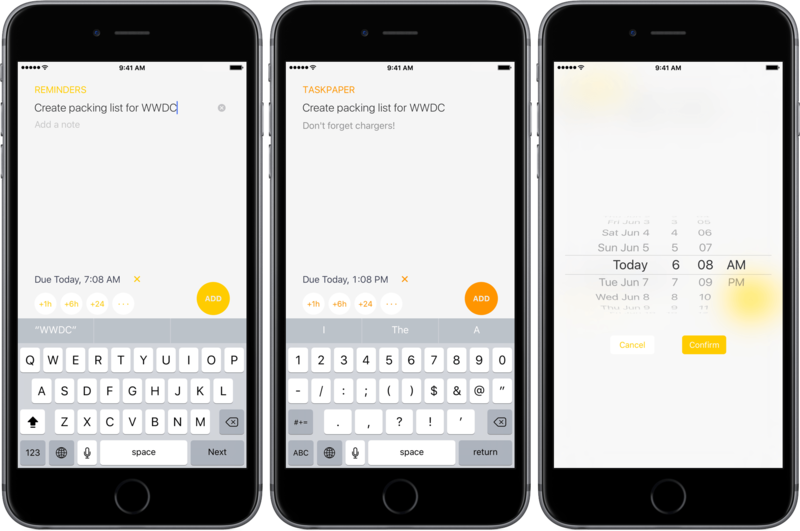 Reminders has some compelling features like iCloud syncing between iOS devices and with Macs, shared reminder lists, and the ability of some third-party apps like OmniFocus and 2Do to import reminders. Yet despite these benefits, Reminders can be tedious and frustrating when you want to enter a reminder with a due date. Remind Me is a handy lightweight iPhone utility dedicated to fast Reminders task entry. TaskPaper 3 by Hog Bay Software is a deceptively simple task manager. The cornerstone and greatest strength of TaskPaper is plain text, which is portable, adaptable, and as future proof as you can get. 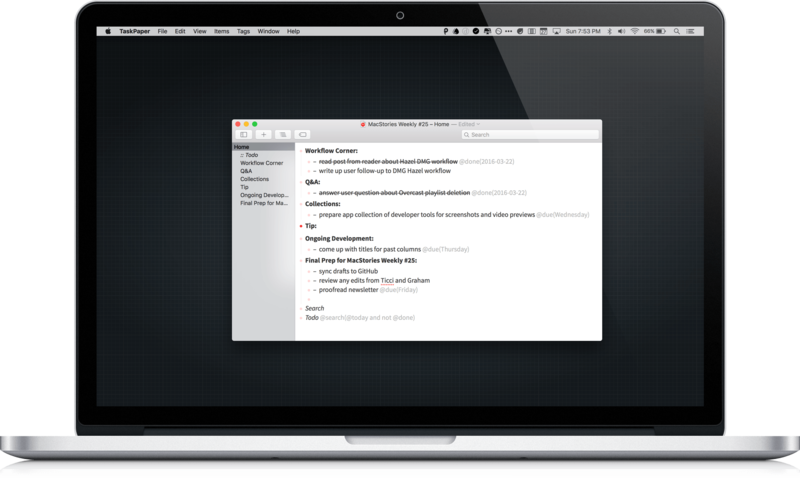 Using a simple syntax reminiscent of Markdown and an abundance of keyboard shortcuts, Taskpaper's straightforward interface conceals considerable power under the hood.